 Highest common mode impedance over the widest frequency range.  1250 Vrms, one minute isolation between windings. 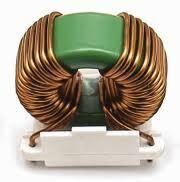  Inductance values up to 20 mH; current ratings as high as 3 Amps.  RoHS-compliant. Tin-silver over copper terminations.